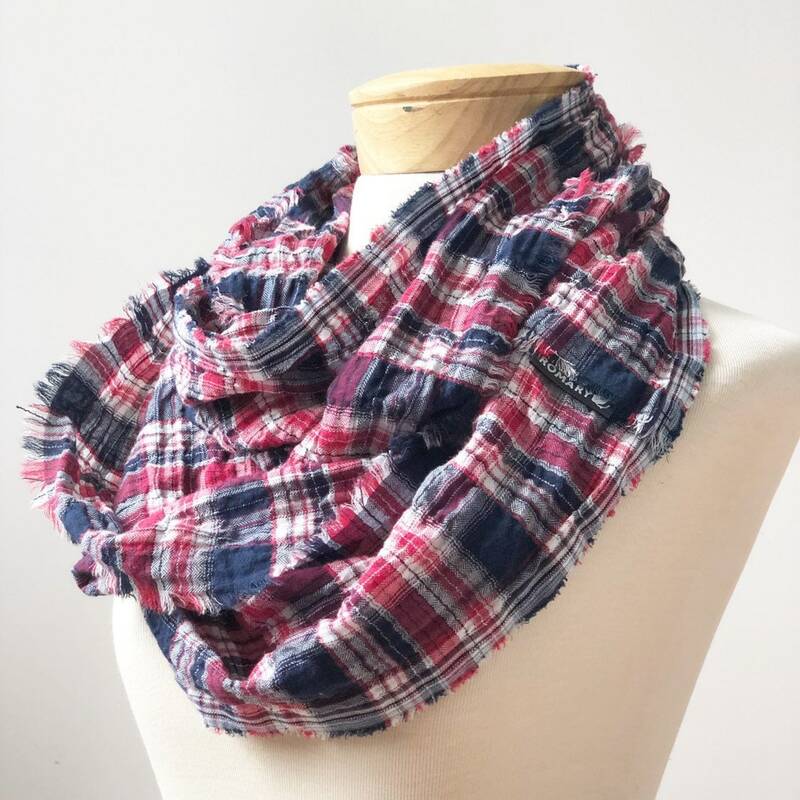 This beautiful, unisex, ultra-lightweight, plaid, featuring a gorgeous combination of red, white, and blue colors with hand frayed edges, will be a great addition to your wardrobe. 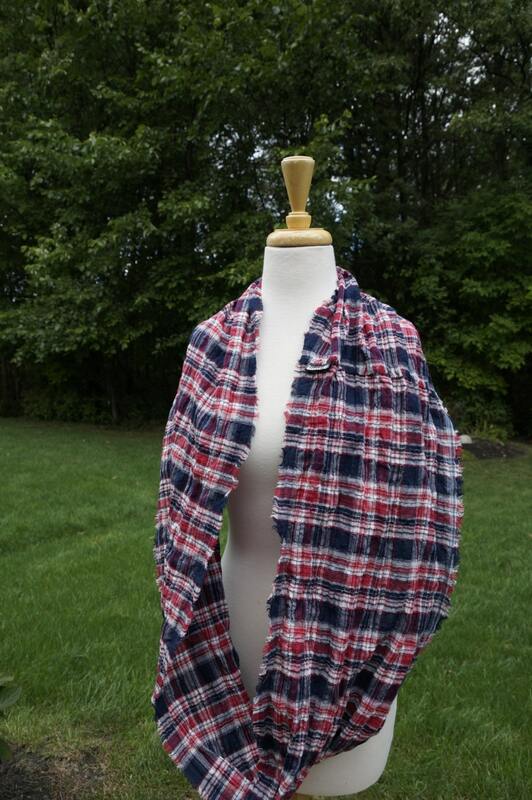 This loop of 100% cotton gauze fabric looks fabulous as a casual addition to your outfit, or an accessory to your favorite coat or jean jacket. Cotton gauze fabric is extremely lightweight, almost sheer, and has a crinkle texture similar to seersucker, but more pronounced and stretchy. 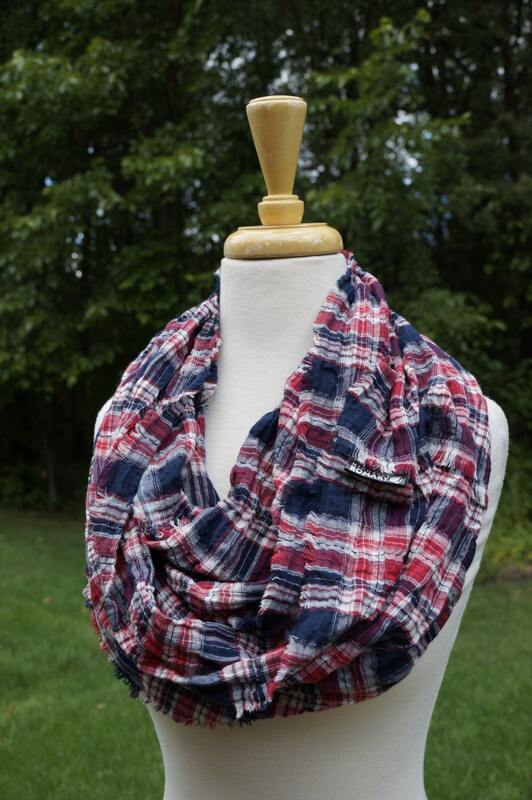 This is the perfect scarf to keep in your handbag as it folds up to a very small size. 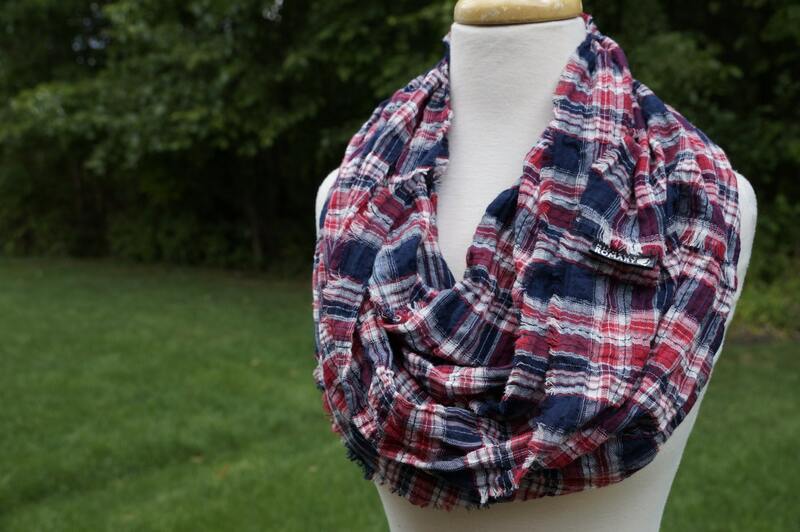 The crinkled/puckered texture allows you to manipulate the scarf into looking more voluminous. 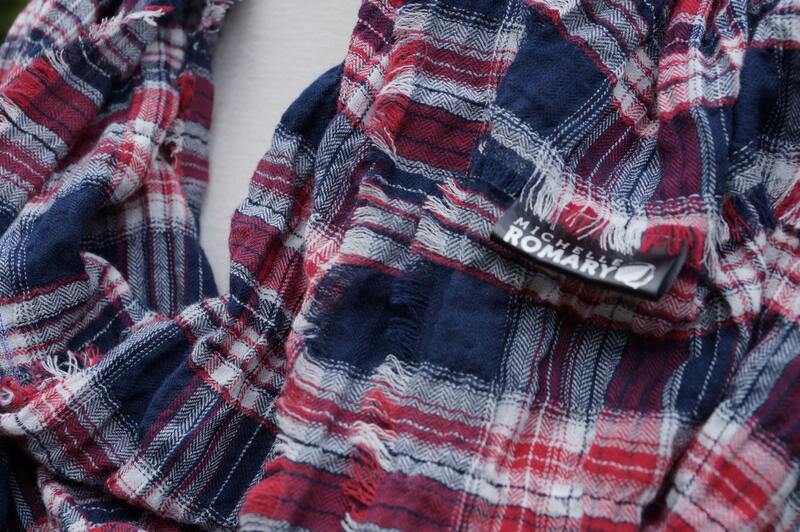 It is looped twice in the photos shown here on a women's size extra small dress form. Approximately 67" in circumference. Approximately 14" wide.